Lemon balm tea is the ideal tea to take when you are feeling under the weather. If your stomach is acting up or you have a bad cold, this is the herbal tea you should drink. Easy to grow, you can have a flower pot with this herb in your home and quickly make a cup of tea when you need one. 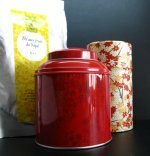 Loved for its citrusy smell and flavor, this herbal tea is one of the best herbal teas for both adults and children. Lemon balm, melissa officinalis in Latin, is a quick-growing perennial herb native to southern Europe and northern Africa, but today it may be found growing around to the world. Its Latin name Melissa actually comes from the Greek, meaning "honey bee" because it attracts bees for the production of honey, while the English name refers to its citrusy and balsamic nature. You may find this herb under other names such as: bee balm, balm mint, cure-all, honey plant, sweet balm or bee herb. This is an easy to grow plant that can reach 70-150cm in height. It has small mint-green heart-shaped leaves with serrated edges and covered in a soft fine hair. 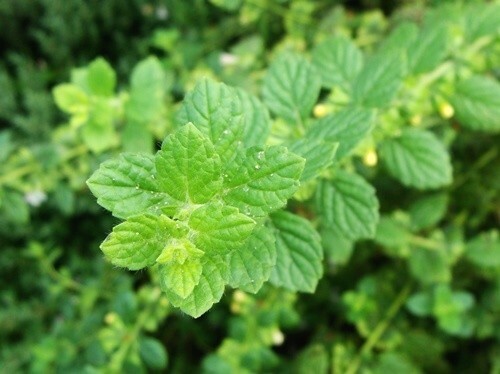 Its leaves have a minty lemony scent that is more intense when the leaves are bruised. Lemon balm blooms in the summer when it is covered in beautiful small white or yellow tube-shaped flowers. If it remains unchecked, this plant can spread in the garden naturally. As long as it gets lots of sunshine, you can even grow this plant in a flower pot and have fresh lemon balm right in your own home. For more than 2000 years lemon balm has been cultivated and used for its medicinal properties and for its ability to attract honey bees. It was used to help domesticated bees not stray away from their hives. Its leaves and flowers have been used to make a tea to treat nervous disorders and other illnesses. It was an essential herb for the ancient Greeks and as early as the 8th century, the French emperor Charlemagne drank lemon balm tea every day to prevent illness and so he ordered that the herb be grown in every garden. In the 10th century, Arab physicians recommended lemon balm as medicinal herbal tea to treat anxiety and depression, relieving nervous tension. As the reputation of this plant grew, by the Middle Ages it was a fashionable sedative to reduce stress, improve sleep and soothe digestive problems. It would continue to be used throughout history spreading around the world with the reputation of a cure-all that would help promote longevity and preserve youth. 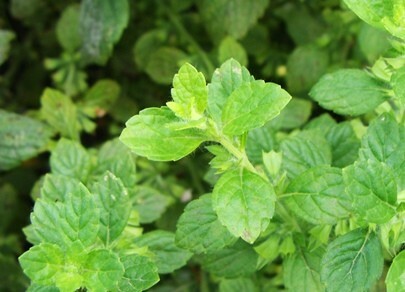 Lemon balm was greatly appreciated on its own or added to other herbal blend to improve their flavor and smell. Today, lemon balm is still highly valued for its medicinal properties. It is one of the favorite herbal teas most people resort to when they feel indigestion. Its leaves are still added to salads and pastry to give them a pleasant citrusy aroma. In the summer, lemon balm may be added to icy lemonades or sorbets and ice creams. It blends perfectly with mint and may be combined to add a zesty flavor to dishes when no lemons may be found. 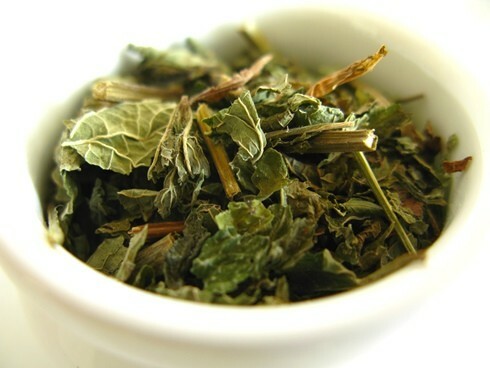 Lemon balm is an herb rich in many components that may be infused into a healthy cup of tea. It contains volatile oil, flavonoids, polyphenols, tannins, bitter principals, citrals, rosmarinic acid and calcium. All these components come together to give you a healing cup of tea with the following benefits. 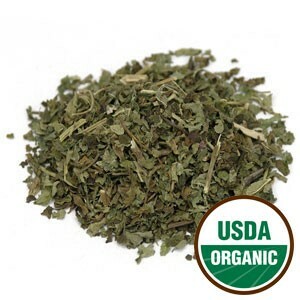 Lemon balm tea is considered a nerve balm as it is said to help support and restore the central nervous system. It calms the mind, relieves tension and soothes pains, such as migraines or headaches. Drinking this tea may help to improve your mood when you are feeling down, depressive or overwhelmed with anxiety. At the same time it is calming tea that may help treat hysterics or hyperactivity and excessive nervousness. Its calming nature may even help prevent panic attacks and deal with phobias. When you have difficulty sleeping, try taking a cup of lemon balm tea about 30 minutes before sleep. This tea is said to help bring on a restful sleep and fight insomnia and other sleeping disorders. It is recommended for people who are unable to sleep and end up suffering from chronic fatigue symptom. Note: in order to help bring on sleep, try to create the best and most restful environment possible: comfortable bed, no distracting sounds or lights (yes, you should turn off your phone) and a cool room. Lemon balm tea is also a sedative tea, helping to relieve pain caused by hernias, toothaches, or other pains caused by nervous disorders. A cup of lemon balm tea is rich in antioxidants and therefore taken regularly may improve brain function and strengthen memory. By allowing you to stay calm, you will find it much easier to concentrate and learn much better without resorting to other stimulants. Studies are being performed to test the abilities of lemon balm tea in improving the cognitive function and therefore help prevent and revert symptoms of Alzheimer's disease. It is said to help to boost memory in these individuals as well as allow them to focus better by way of a longer attention span. 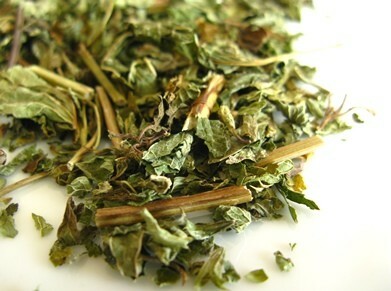 Lemon balm tea may also be taken by those who suffer from ADHD and could need mental slowing down. This tea may help control agitation extending the ability to stay focused and concentrate. Both adults and children may drink this tea, but talk to doctor to learn how to adjust this tea to your child's weight. As a pain relief, this tea may help your brain by reducing migraines, headaches, neuralgia, and other issues such as vertigo, dizziness and buzzing in the ears. Nervousness may unfortunately cause some digestive distress, so drinking this tea is not only a way to help calm your nerves, but also prevent or heal troubling digestive problems, while helping you get your appetite back. Lemon balm tea is one of the best teas for treating digestive problems. If you have stomach pains caused by indigestion or acid reflux, this is the ideal tea for you. It helps treat the cause of the indigestion, fighting bacteria that could be causing these problems. Lemon balm is antispasmodic making this a soothing tea for your irritated colon. This means that drinking this citrusy infusion may help relieve flatulence, cramping, constipation or diarrhea. With each cup you drink you are strengthening your digestive tract and naturally healing and feeding your body. Those who suffer from irritable bowel syndrome (IBS) may find that this healing and calming tea ideal to help their painful symptoms. If you are feeling nauseous, drink a cup of this herbal tea. Just breathing in its citrusy aroma may help soothe your urge to vomit, while drinking it may treat the cause of your nausea, be it a digestive problem, or a nervous issue that is causing your body to react badly. If you have a cold, then make yourself a cup of lemon balm tea and head off to bed. Its antiviral and antibacterial properties are ideal to help you fight a bad cold or the flu, driving out the toxins from your body. Lemon balm tea is said to help to bring down fevers if your body temperature begins to rise and also decongest your lungs and nasal passages, allowing you to breathe more easily. If you have more serious respiratory ailments such as chronic bronchitis or smoker's bronchitis, drink a cup of this healing tea to help reduce that awful catarrh that makes you feel like you are about to choke when you cough. This tea is a natural antihistamine helping your to best deal with allergies. Its antispasmodic action may also reduce the severity of your asthma attacks. What makes lemon balm tea such a great tea for your digestive and respiratory system is its ability to fight infections and inflammation caused by viruses, microbes or bacteria. This healing tea is said to boost and support your immune system, speeding up recovery time as well as helping to prevent the occurrence of disease. 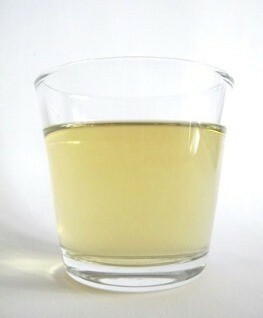 It is a tonic tea that may help to detoxify and stimulate the liver, gall bladder and kidneys. This makes lemon balm tea a great infusion to promote vitality. Its antiseptic properties may also treat painful urinary infections. Lemon balm tea may also be considered a heart tonic because by soothing your nerves and calming your mind, it may also help to reduce pressure on your heart caused by everyday stress. So drinking this tea may help lower blood pressure and soothe heart palpitations brought on by agitation. The flavonoids present in lemon balm help to strengthen the heart and blood vessels and this tea may also be helpful for dealing with heart disorders, when properly monitored by your doctor. However, if heart palpitations persist and are accompanied by strong heart pains, then go immediately to a hospital. This herbal tea is considered a great healing and nourishing tonic. It tones the liver, helping to bring balance to your hormonal levels and thus is also considered a refreshing women's tonic. Drinking lemon balm tea may be a great aid to regulate menstrual periods, easing the pain from spams and cramps in the uterus and soothing PMS-related headaches, anxiety and depression. It may also help women who are starting to feel the first symptoms of menopause, easing mood swings and depression, and keeping your hormonal levels in balance. This herbal tea may help both hyperthyroidism (Grave's disease - an autoimmune disease linked to an overactive thyroid) and hypothyroidism. It is a hormonal balancing infusion. Studies seem to suggest that lemon balm tea may help treat thyroid-related problems, helping to regulate the thyroid function. It also stimulates and strengthens the immune system in people who suffer from autoimmune diseases. Note: if you are undergoing treatment, make sure to talk to your doctor before taking this tea medicinally. Your medication may need adjusting. Applied as a poultice, this tea may heal tumors and treat cold sores. It is also good to clear and help treat herpes virus, chicken pox and the measles. 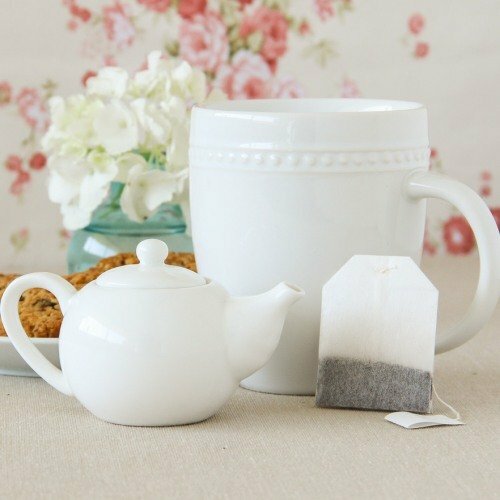 Dabbing your skin with a cotton ball infused in this tea may help moisturize dry skin as well as clear away acne. Rinsing your hair with lemon balm tea will help reduce that oily sensation and probably leave it smelling quite nicely with its citrusy notes. 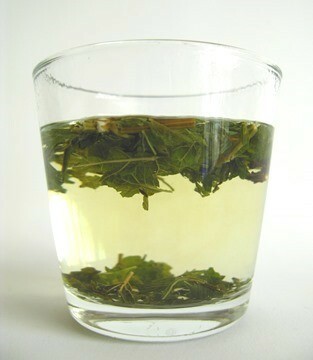 Would you like try lemon balm tea now? This is an amazing tea with a wonderful flavor and a world benefits added to that, but there are a few things you should take into consideration when drinking this herbal tea. The side effects associated with this tea are minimal and not that common, however you should always drink the recommended amounts for the particular ailment you want to tackle. Be careful when drinking this tea and taking other sedative medications or herbal treatments. Too many sedatives in your body may result in excessive drowsiness and difficulty in keeping your thoughts clear. If you taking thyroid medication, do not take this herbal tea without first talking to your doctor as it may alter the results of your medication. Always test lemon balm as topical treatment on a small area of your body as excessive contact may provoke dermatitis and awaken hidden allergies in some people. This tea is considered mild enough to be given to children, but make sure to adjust the amount of herb to the weight of the child. Due to insufficient research, this tea should not be taken by pregnant women or breastfeeding mothers. There is a risk that lemon balm tea could work as a uterine stimulant and pose a risk during pregnancy. As this is a sedative tea, you should not take this tea for a period of about two weeks prior to undergoing surgery. It is best not to risk messing with the anesthesia. If you suffer from glaucoma, then it is best to avoid this tea as some tests have shown that drinking this infusion may increase pressure inside the eyes. It's time to have a cup of this healing tea, so let's learn how to make lemon balm tea. To make a great cup of tea you can use either fresh or dried lemon balm leaves or flowers. For the best results, make your tea using fresh leaves. Start by filling your tea kettle with water and bring it to a boil (100ºC). 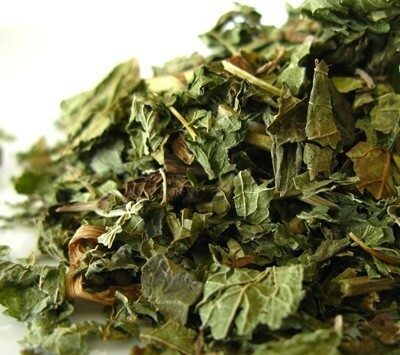 In your teapot place 1 teaspoon of dried lemon balm per 250ml (1 cup) of water. If you use fresh lemon balm leaves, then it is 2 teaspoons per cup of water. When using fresh herbs, make sure to properly wash and chop them up. Pour in the boiling water and let your tea steep for about 5 to 10 minutes. The longer you steep the stronger the tea becomes. Strain and serve. You can add honey to sweeten the tea and help you treat respiratory problems quicker. You may drink this tea 3 to 4 times a day. If you are drinking this tea for digestive healing then drink it after meals; if you are taking lemon balm to calm your nerves and improve your sleep, then drink a cup about 1 hour before going to bed. This is a refreshing pleasant tea with a citrusy aroma and flavor. So even if you are just looking for an aromatic herbal infusion to drink in the afternoon, this is the perfect choice. To use lemon balm tea as a skin lotion, make sure to test first by soaking a cotton ball in the cooled infusion and then applying to a small portion of your skin. Do not apply to a larger area unless you are sure you do not have an allergic reaction to the lemon balm. Pour your tea into ice cube trays and place them in fridge. You will have lemony ice cubes to add to your summer beverages. To create a sedative herbal tea blend consider combining lemon balm with valerian and chamomile to help calm your nerves and help you sleep. It greatly improves the flavor of these infusions. Blend lemon balm with peppermint or fennel seeds to create a great tea to improve your digestion and fight stomach pains. The ideal herb to blend lemon balm to make a tea that helps to treat Grave's disease is bugleweed. You can grow this herb easily in a pot at home. It grows quickly and requires little attention. Once you cut the fresh leaves you can store them for a few days in the refrigerator or freeze them. Dry leaves should be stored in an airtight container. Buy Your Lemon Balm Tea Today! Click on the image or on the link below to purchase from Starwest Botanicals your Organic Lemon Balm. Make a calming tea using this organic lemon balm herb or powder. This is a beautiful herb with a wonderful smell and flavor. Add a bit of honey to sweeten and further enhance the healing properties of your tea. 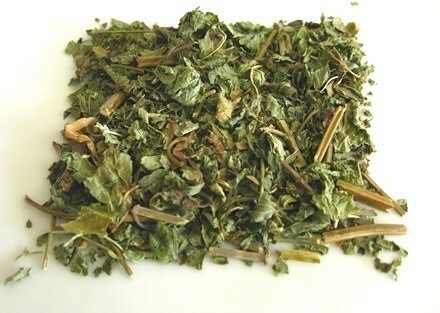 Buy your Lemon Balm tea now! Add a citrusy flavor to your teas and enhance any infusion with the wonderful healing properties of lemon balm. 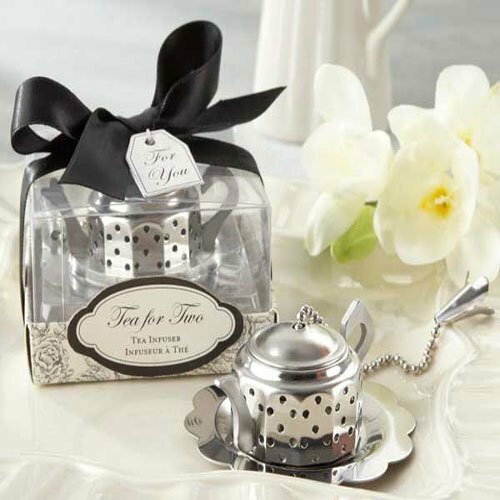 Savor this soothing cup of tea!